EU rules will be rolled out in April to clamp down on acrylamide, which is found in chips. IRISH HOTELIERS ARE fighting a plan to strengthen incoming EU restrictions on a cancer-causing substance found in starchy foods like chips. According to the lobbying register, the Irish Hotels Federation (IHF) wrote to four MEPs last September urging them to oppose suggestions that there should be a legal limit on the levels of acrylamide found in food. Acrylamide is a chemical compound known to increase the risk of cancer, according to research by the European Food Safety Authority. The substance forms when starchy foods are fried or roasted. The main groups of food products it affects include potato- or cereal-based items and coffee. Last July, the European Commission voted in favour of introducing a regulation that requires food-serving outfits to reduce the presence of acrylamide through various “mitigating measures” according to benchmark levels considered safe for consumption. The new regulation is due to come into force in April. However, some food lobby groups have complained that the new rules won’t be strong enough and want an even-tougher approach that would set out binding limits on how much of the chemical can be present in food sold in the EU. Floriana Cimmarusti, secretary general of Brussels-based non-profit Safe Food Advocacy Europe (SAFE), recently said binding maximum levels of acrylamide should be introduced because “relying on benchmarks does not protect the health of consumers”. Citing an Italian report that found high levels of acrylamide in crisps, SAFE claimed that without a maximum legal limit and sanctions, companies selling products with high levels of the substance are “exempt from serious consequences”. In a letter sent to four Irish MEPs last year and shared with Fora, IHF chief executive Tim Fenn said his organisation supported the EU regulation in general, particularly “the proposed benchmark-level approach”. 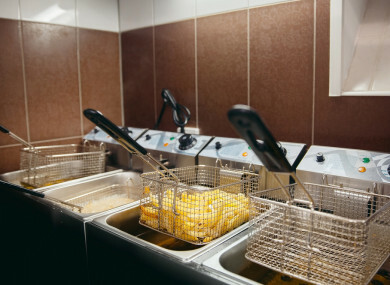 However the group opposed “any strengthening of the commission regulation”, adding that hoteliers were against the introduction of binding maximum levels of acrylamide because that would be “unworkable for the vast majority of hospitality establishments”. Fenn attached a statement from Hotrec, the Europe-wide trade group that represents the continent’s hotel, restaurant and café industry. Hotrec – of which the IHF is a member – has argued that the introduction of binding maximum levels would “indirectly force” small- and mid-sized businesses “to regularly analyse their products; something which they cannot afford”. The group said that most hospitality businesses “cook non-standardised dishes for immediate serving: binding maximum levels are of no use in such context since levels may vary slightly from one individual dish to the next and are consumed immediately (and therefore cannot be withdrawn from the market)”. “(Hospitality businesses) simply cannot cope with additional obligations compared to the current text of the regulation,” it said. Email “Hoteliers say stricter rules on a cancer-causing food substance would be 'unworkable'”. Feedback on “Hoteliers say stricter rules on a cancer-causing food substance would be 'unworkable'”.